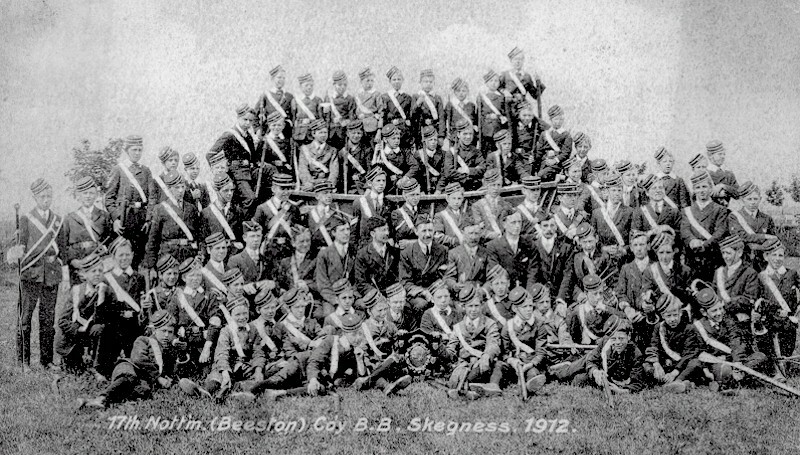 The Beeston Boys' Brigade (17th Nottingham) has held annual camps, starting in the years leading up to the Great War (World War 1). A camp had been held in 1910, the year after the Beeston brigade had been reformed under Stephen Hetley Pearson and there had been four earlier camps between 1898 and 1902. This photograph is of the 1912 camp, held at Skegness and shows over 80 (including both officers and boys) were in camp. 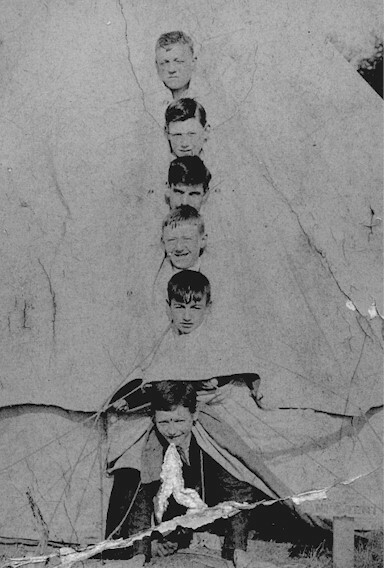 The photograph on the left is undated but is believed to be from the same camp.